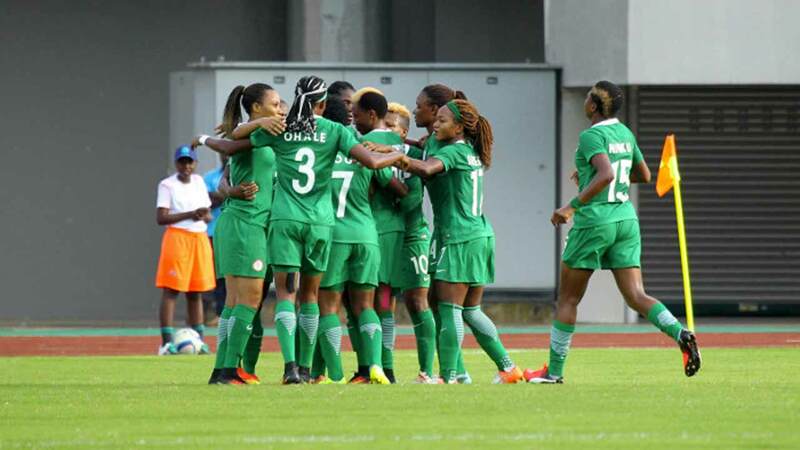 The protest staged by members of the female football national team, the Super Falcons in Abuja on Wednesday over the non-payment of their allowances has continued to spark up controversy across the country. This is just as Nigerian songsters, Paul Okoye of the Psquare fame and Timi Dakolo have reacted to the development. Recall that the Super Falcons Wednesday stormed the National Assembly protesting the refusal of the Nigerian Football Federation to pay their entitlements. 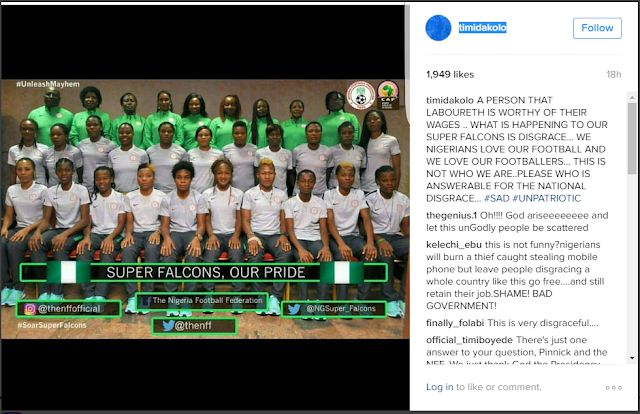 Although President Muhammadu Buhari had promised to pay all outstanding bonuses and allowances to the Super Falcons within 48 hours, Paul Okoye says it’s a shame. 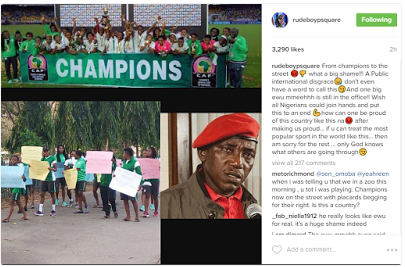 On his Instagram page @rudeboypsquare, the ‘Bizzy Body’ crooner wrote: “From champions to the street.. what a big shame!!! A Public international disgrace. “Don’t even have a word to call this. And one big ewu mmeehhh is still in the office!! “Wish all Nigerians could join hands and put this to an end. “How can one be proud of this country like this na, after making us proud… if u can treat the most popular sport in the world like this… then am sorry for the rest. On his part, the ‘Iyawo mi’ crooner wrote @timidakolo: “A person that laboureth is worthy of their wages. “What is happening to our super falcons is a disgrace. “We Nigerians love our football and we love our footballers, this is not who we are.